Completely eliminate your credit card fees today. We’ve created a way for you to collect 100% of your sales revenue by passing thru a Cash Discount Fees to customers paying with checks, credit or debit cards. The Cash Discount Program is a way for you as a merchant to offset some or all of your current merchant service fees without increasing your overall rates. It is a method of implementing a service fee to all customers, while giving a discount to those who pay with cash. Therefor your posted rates now become the rate for those who pay with cash. Those customers who pay with cash avoid the services fee and experience a cash discount as a reward , all others will see a line item added to their receipt. It is our proprietary technology that allows this to happen and keeps you within the guidelines of Visa, Mastercard, and processor regulations. In order to correctly implement a Cash Discount program, you don’t need to change any of your prices – you simply post signage (that we will provide) that states that all transactions now carry a 4% customer service charge. The proprietary technology is provided by LockTrust in conjunction with our hardware and processing partners. 5.11.2 Charges to Cardholders A Merchant must not directly or indirectly require any Cardholder to pay a surcharge or any part of any Merchant discount or any contemporaneous finance charge in connection with a Transaction. If for any reason you wish to discontinue the Cash Discount Program, we will immediately change you back to traditional Interchange Pricing. You will still save a lot of money on your credit card fees by utilizing the LockTrust low rate program, which saves business owners on average 72% over the fees your previous processor was charging. Why does LockTrust offer the Cash Discount Program? Since our inception, LockTrust has been an advocate acting in the best interest of our merchants, savings our clients millions of dollars each year. 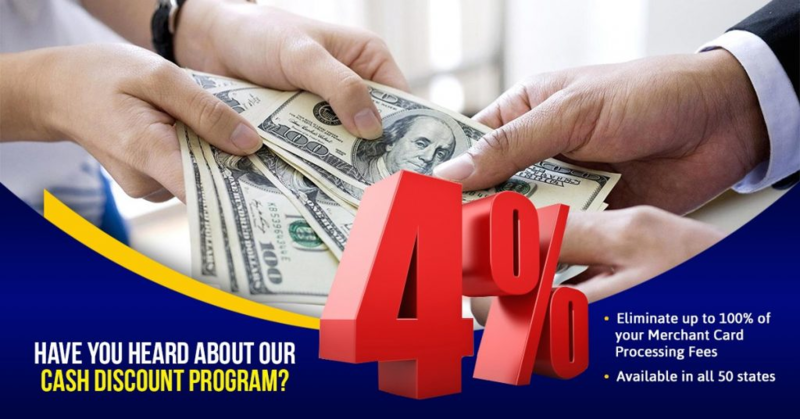 The Cash Discount offering creates a path to save our clients even more money each month. With the addition of this program, we have multiple options for our clients to choose from – you choose the savings plan that best suits your business. Ask us about Hybrid options if you’d like to cover some of the costs while charging your clients some but not all of the fees. Similar to the previous FAQ on terminal leasing, sometimes cancellation fees can be insultingly high (side note: LockTrust never has a cancellation fee!). But often you can wait a month after switching before the fee catches up with you, and by then you will have saved significantly on the new program. In the long run you will be far better off to switch and start saving as soon as possible.